New Year’s Eve deserves a special treat, and what could be better than two of the most influential Ghent-based event concepts teaming up for this special occasion. 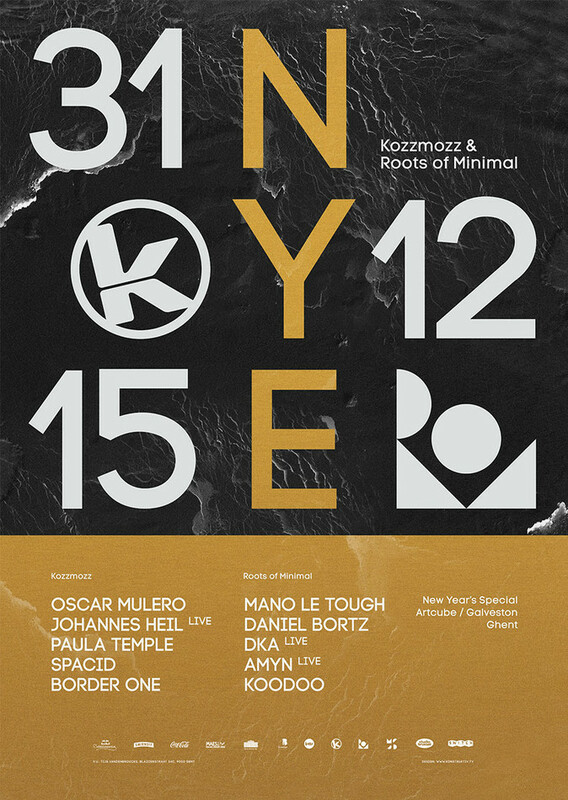 Kozzmozz and Roots of Minimal will be joining forces for a night that will celebrate the great and good of our beloved underground techno, minimal and house music. You can expect an on-point and innovative set of well-established artists, along with the well-known quality that has marked both event-concepts ever since. This will be the biggest party of the year so don't sleep on tickets!